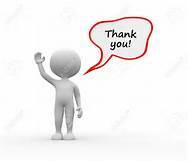 Join us as TKMA welcomes the opportunity to support our community partners’ activities and events in recognition of their ongoing support to TKMA and the Tucson Folk Festival! 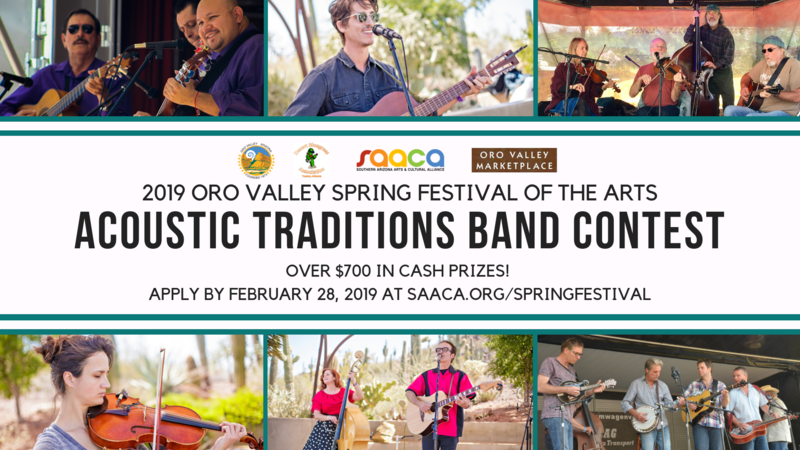 ​Southern Arizona Arts & Cultural Alliance and the Desert Bluegrass Association are pleased to announce the inaugural Acoustic Traditions Band Contest at the Spring Oro Valley Festival of the Arts in Oro Valley, AZ. In keeping with the diversity of the various styles of bluegrass and traditional acoustic music that are found in Southern Arizona, this band contest is not confined to a specific genre of acoustic music. Rather, it is an opportunity for a broad variety of acoustic bands to display their talents, musicianship and entertainment abilities to a wide audience. In two rounds of competition, bands will compete for $700 in cash prizes and a paid performance opportunity at the Marana Bluegrass Festival the following year. 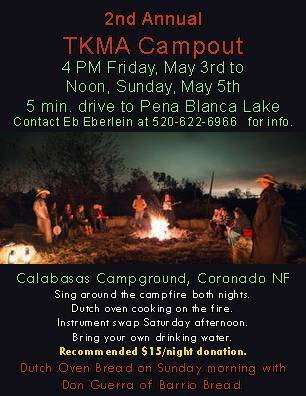 Judges will be selected from Arizona professional music talent, Desert Bluegrass Association members, and SAACA staff and board members.